Jambalaya, gumbo, spicy crawfish, boudin and bread pudding, these are just a few things you can sample of Southwest Louisiana&apos;s famous Cajun French and Creole cuisine. Cajuns in Southwest Louisiana like to tap their toes to good music while dining, and several restaurants in the Southwest Louisiana area feature live Cajun tunes almost every night of the week. 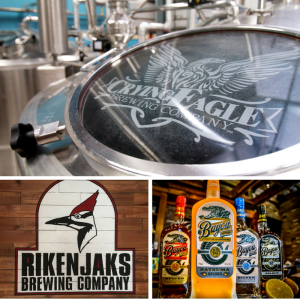 A few new attractions include Crying Eagle Brewing Company and Rikenjaks Brewing Company with craft beer, music and outdoor areas – not to mention – the Bayou Rum Distillery. Learn more at www.visitlakecharles.org/brews. The Out & About enewsletter is a great way to stay in touch with interesting stories and events happening in Southwest Louisiana. Get featured videos and interesting stories on a bi-weekly schedule.